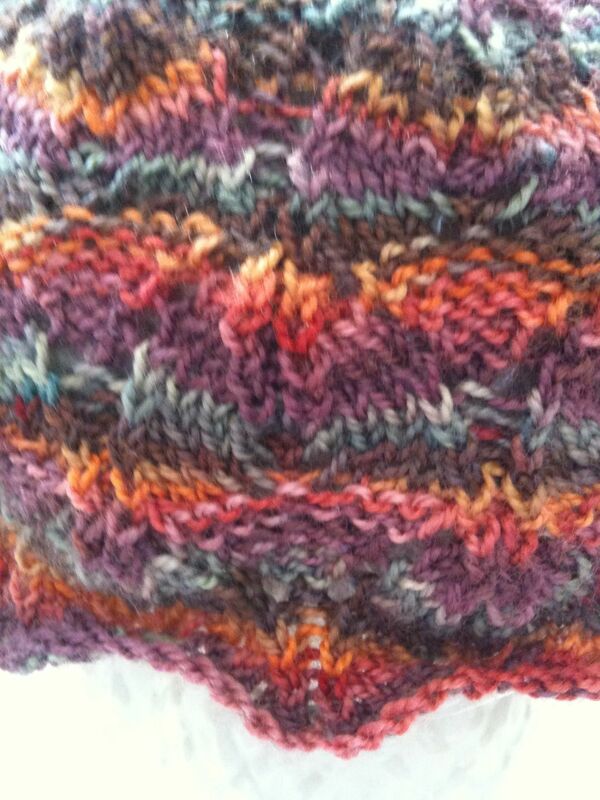 The Adult Oriel Hat pattern I designed knits up delightfully for baby when you use sock yarn and smaller needles. 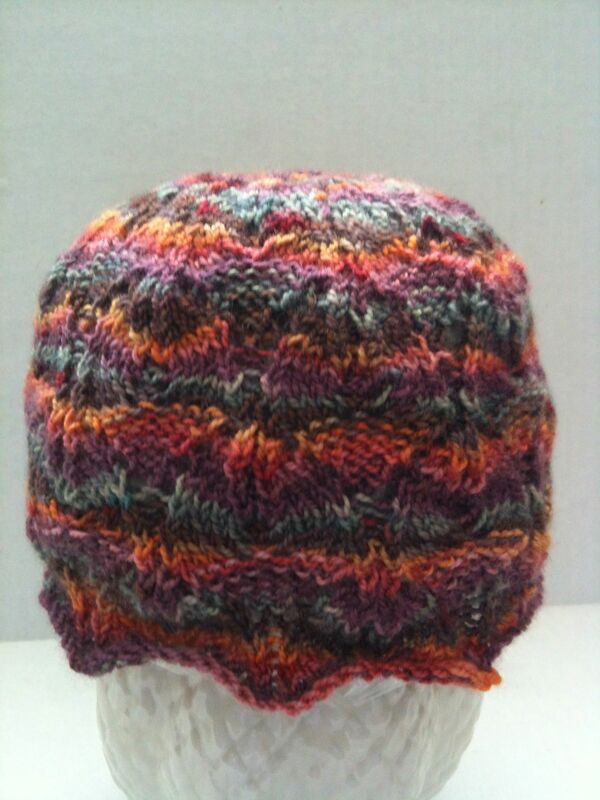 This version, using Ellen’s Half Pint Farm Merino/Tencel sock yarn, was knit on size 1 (2.5 mm) needles and used 22 grams of yarn (about 3/4 oz.). 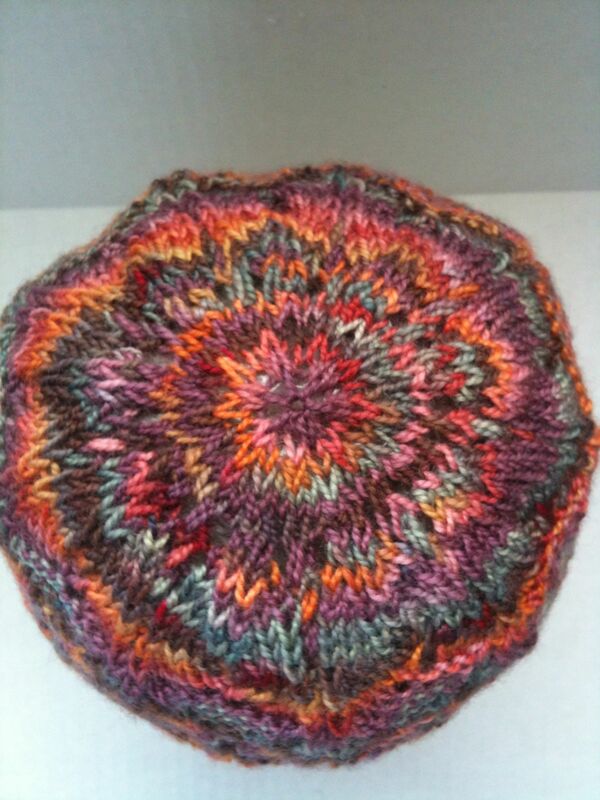 Circumference is about 14″ (blocked) and the hat is 5″ tall.